This Burlington mantel and ivory Beaumont stove project took place in Wandsworth, London. 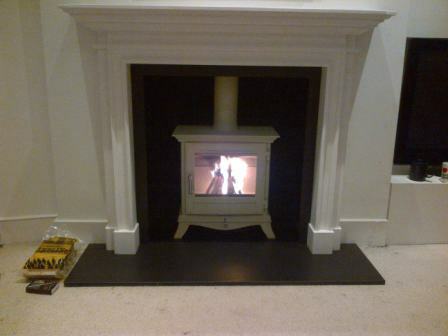 The Billington Partnership combined the Burlington Limestone mantel with the ivory Beaumont Stove 5kw by Chesney’s. The project involved our team altering the existing ‘hole in the wall’ opening. 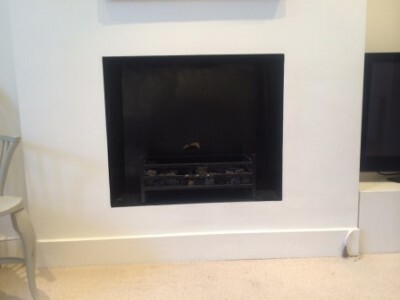 This allowed us to adapt it to a more traditional style fireplace. The finished fireplace pleased the client tremendously. Finally, for more information on the Beaumont stove contact The Billington Partnership.